I saw this pinned on pinterest and wanted to try it. 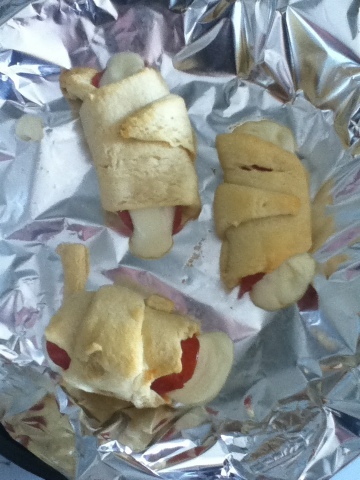 These were so easy to make with refrigerated crescent rolls, string cheese and (I used turkey) pepperoni. Omg they are so good and so fun to make!